D Prasad, G Somayaji, R Aroor, M Abdulla. 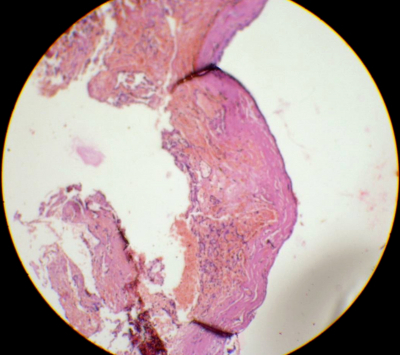 Primary nasal amyloidosis. The Internet Journal of Otorhinolaryngology. 2008 Volume 9 Number 2. Introduction: Amyloidosis in the head and neck is a rare but benign disease. 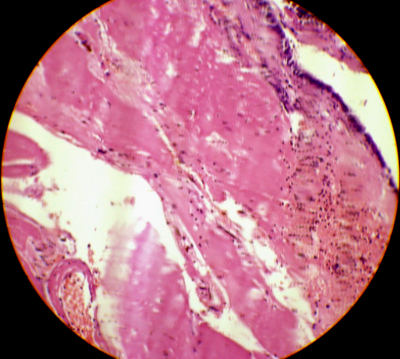 Primary amyloidosis localized to the sinonasal tract is extremely rare. This is a report of one such case with a brief review of the literature.Case report: A 42 year old lady who presented with epistaxis and left sided nasal obstruction was found to have a mass in the left nasal cavity, which was proved to be amyloidosis after histopathological examination.Conclusion: Localized amyloidosis, though rare, can be considered as a differential diagnosis for a nasal mass. Amyloidosis is characterized by extra cellular deposition of amorphous proteinaceous material in the form of fibrils. Amyloidosis can be systemic or localized. Localized amyloidosis is rare, frequently involves the head and neck region without systemic manifestations. Larynx is the most commonly affected region (61%) followed by the oropharynx, trachea, orbit and nasopharynx. 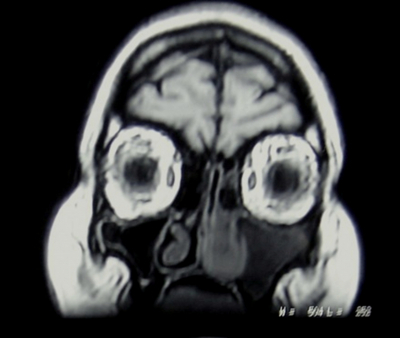 Sinonasal amyloidosis is extremely rare. We report one such case managed by us along with a brief review of the literature. The post operative period was uneventful. 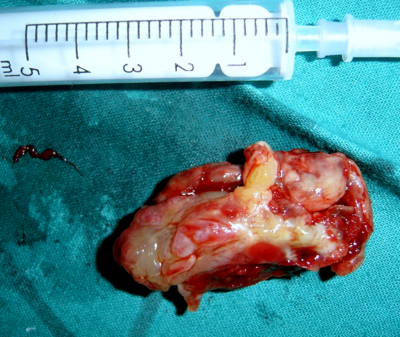 Presently, patient is asymptomatic and recurrence free eight months after the surgery. Amyloidosis is the accumulation of extra cellular deposits of proteinaceous substance in one or more body parts. Clinically, amyloidosis can be systemic or localized1. The systemic amyloidosis can be either primary, wherein there is no evidence of coexisting disease or secondary, which may be associated with chronic inflammatory diseases like tuberculosis, rheumatoid arthritis etc2. 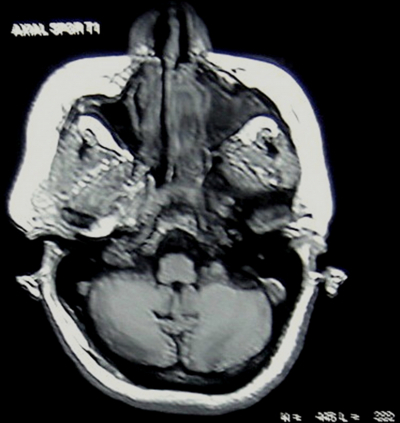 Localised amyloidosis is extremely rare1 but, can be seen in the head and neck region. Hereditary or familial amyloidosis is even rarer and is due to an autosomal recessive disorder. There is no satisfactory treatment for systemic amyloidosis.1 For localized amyloidosis, symptomatic removal is required.1 Bleeding can be a complication in such cases. Close follow up is essential as recurrence rates are as high as 50%.1 Medical treatment, including corticosteroids and chemotherapy have not been successful.2 Radiotherapy is also not advisable 2.